Welcome to Day #4 of Chocolate and Truffle Theme Week. Roundish dark chocolate truffles likely acquired their name because of their likeness to black truffles, the fungi found nestled underground in what remains of great oak forests. 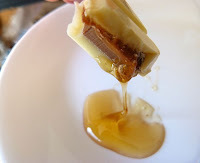 This week I'm combining both types of truffles. 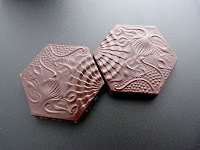 Today I traveled -- virtually, via chocolate -- from Italy (yesterday's destination) to Barcelona, Spain, to sample two chocolates in Enric Rovira's (Barcelona, Spain) Barcelona collection -- heavily influenced by Spanish architect Antonio Gaudi, who often incorporated tile and glass mosaic art into his work. 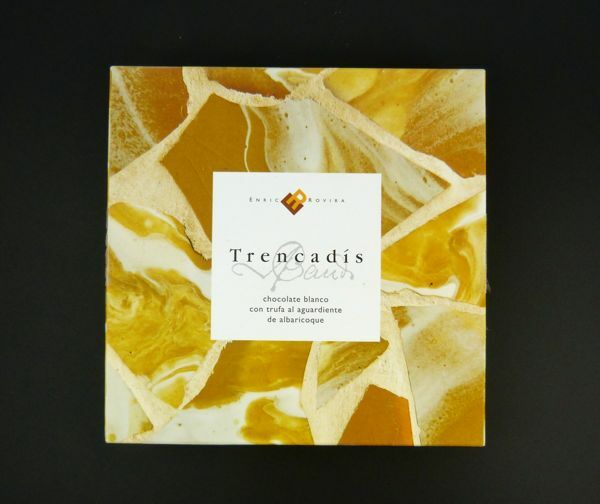 Proving that my Spanish is very rusty, I bought this creamy, Trencadis Gaudi white chocolate creation thinking it contained white or black truffle (the fungi). 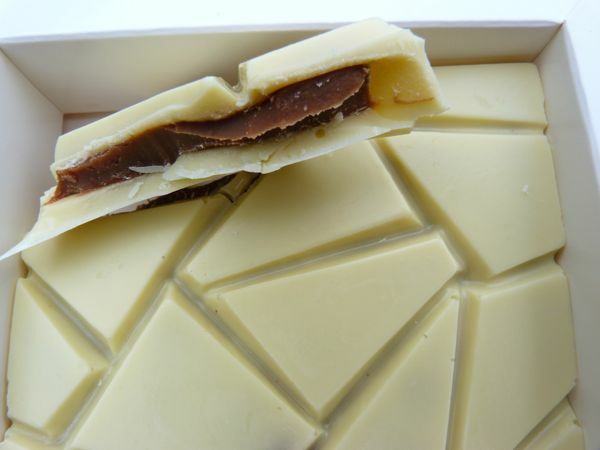 However, the "trufa" in the Spanish name here referred to an apricot brandy truffle filling inside this beautifully patterned square of white chocolate. 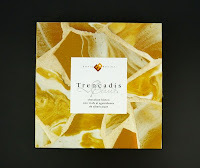 However, my "mistake" was quickly remedied, when I dipped a triangular piece of this white Trencadis (from the Catalan word, trencat, for broken) mosaic into some Italian truffle honey that I'd opened yesterday. 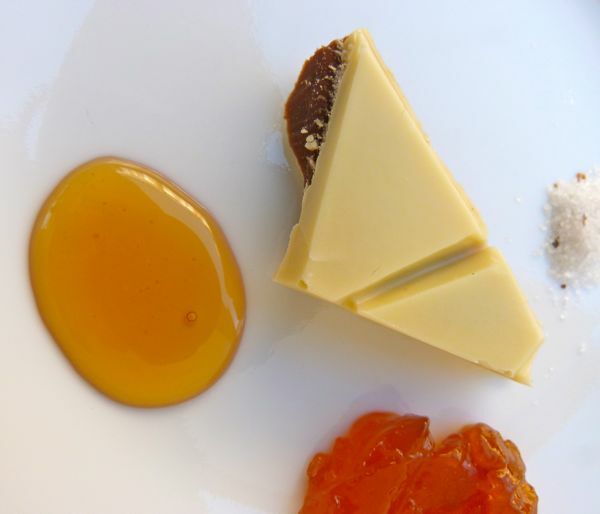 If you want to try something truly decadent and wonderful, these two items were made for each other. 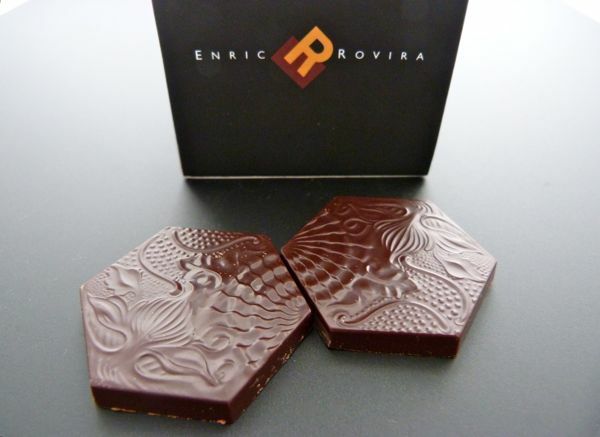 Since, I don't normally "count" white chocolate as my Chocolate of the Day, I also sampled some Enric Rovira dark chocolate (70%) mini hexagons, modeled after special six-sided pavement pieces that might be found on the streets of Barcelona. 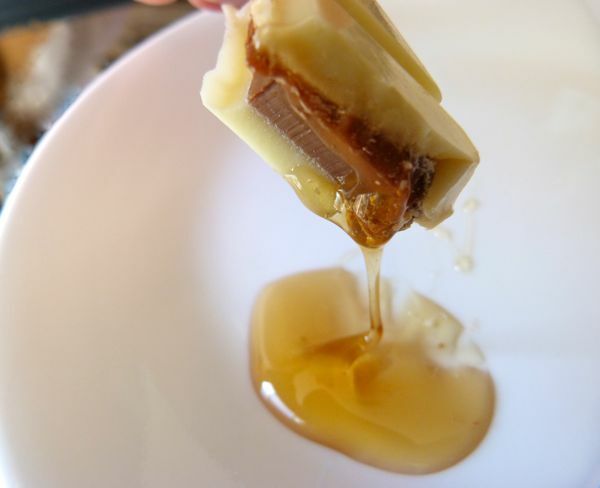 These would look very nice on any dessert plate or tray. 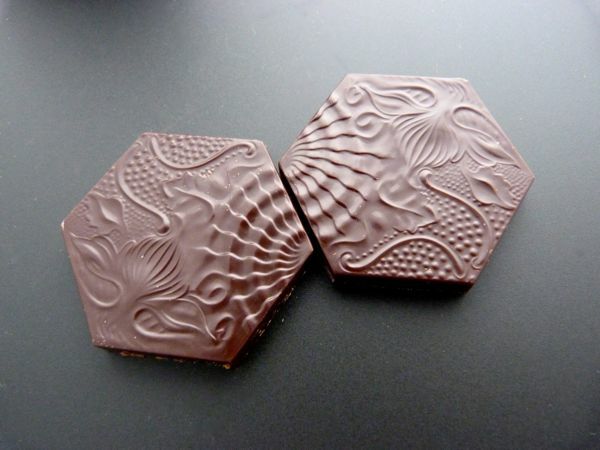 Thank you to Panos at Alegio Chocolate for pointing out the Barcelona Collection.